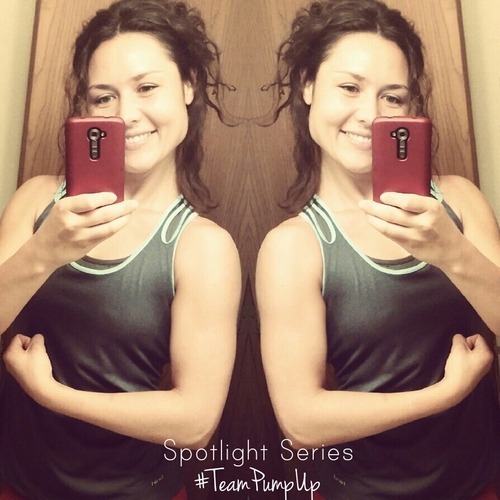 Jurga’s smile always lights up the PumpUp community and she’s very deserving of a grand and great PumpUp spotlight. She’s overcome a condition called PCOS and has tons of great advice for us. If you fail to prepare, you prepare to fail,” she says. Learn more about Jurga (@jurgast) down below! Prior to joining PumpUp in May 2014, Jurga admits that she lacked community-based encouragement to help her pursue her goals. 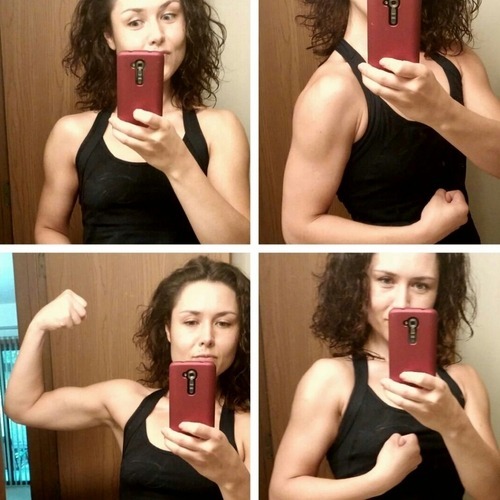 “I had no support on my fitness journey from anywhere. I wanted it and needed it so much,” she explains. Since then, it’s safe to say that she fits right into the PumpUp family. She’s an extremely positive force for many other members on the app. When Jurga moved to the United States 2.5 years ago, she tells us that she had trouble adapting to a different lifestyle. “I gained weight instantly—reaching 133 lbs,” she divulges. “I was lost and didn’t know what to eat anymore. Even carrots weren’t the same.” Back home, Jurga reveals that she was a self-proclaimed ‘cardio junkie’, exercising on the elliptical, spinning classes, and different types of cardio except for running 4 times a week for 12 years straight. “It worked back then. But not anymore,” she says. On top of that, Jurga mentions that she also got Polycystic Ovary Syndrome (PCOS), a condition in which a female’s hormones are out of balance. 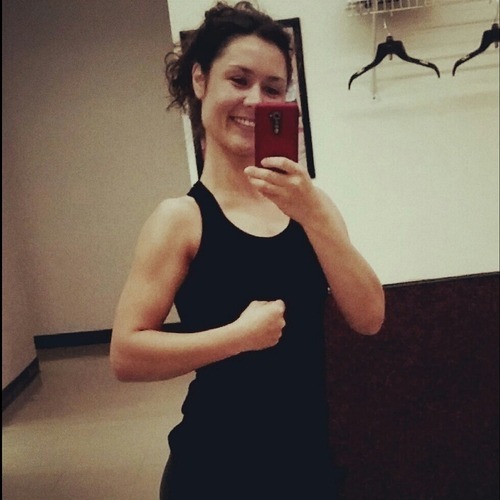 Jurga loves high intensity interval training, elliptical workouts, and cycling. 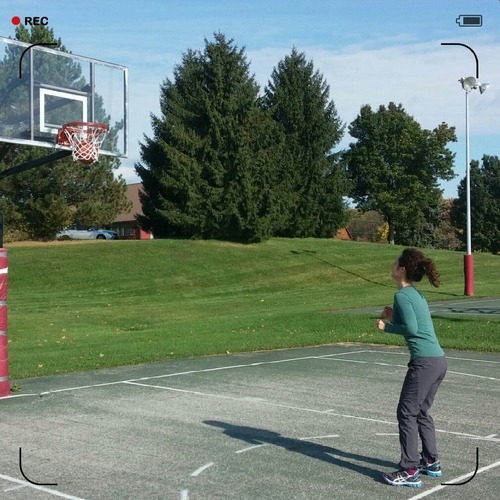 She recently began playing recreational basketball as well. All of this activity helps her physical and mental health. “All of my jobs before were sedentary,” Jurga says. “Now that I’m a student again, it’s even harder to be active. Workouts help a lot.” She’s just started to incorporate ab exercises—some of them from PumpUp—into her routine and is excited to see definition in her core. She’s pumped up to work out bright and early in the mornings before her classes begin. 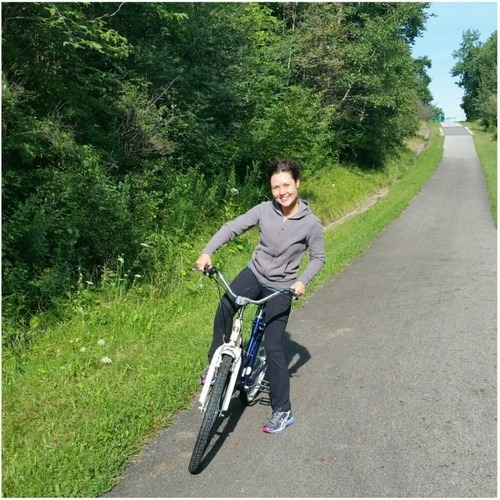 “I love to do some biking, basketball, or running before college,” she gushes. After her courses, she frequently heads straight to the gym to perform heavy lifting routines. It isn’t easy to juggle a student schedule with a rigorous workout routine, but Jurga does it gracefully. “I plan my day carefully and try to stick to it,” she elaborates.